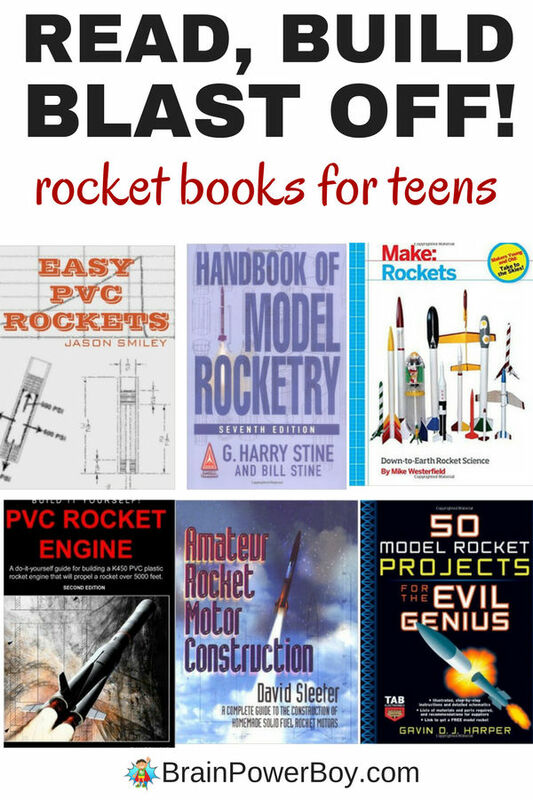 Rocket Books for Teens! Read, Build, Blast Off! We did a best books for boys rocket books list for younger boys. While we were searching for those books we found some awesome books that included hands-on projects for older kids. So we decided to do a list for teens as well. This book list is packed with info that is great for kids who want to learn more about rockets, build their own, and have the thrill of sending it into the sky. Let’s start out with a book by MAKE Magazine. I am fond of MAKE and added it to our magazine list because it is a high quality publication. They also have books that are focused on one topic. This rocket book has detailed instructions for making a variety of hobby rockets, as well as some easy ones for beginners. The books has pictures and illustrations and detailed text. MAKE: Rockets: Down to Earth Rocket Science. Handbook of Model Rocketry is the official handbook of the National Association of Rocketry. That says a lot right there. This edition is completely updated to include the latest in hobby rocketry technology. I am linking to the paperback. Get either that or the Kindle version. The hardcover is crazy expensive! Ok, they are not playing around here – this thing goes up in the air 5000 feet! PVC Rocket Engine gives you details on how to build a rocket out of PVC parts. This takes hobby rocket projects to a new level. For something slightly more tame try Easy PVC Rockets by Jason Smiley. The projects here are simpler and use less materials that the others listed. Reviews are mixed. This is a self-published book. I think it is great for beginners so am including it. We featured an “evil genius” book in our maker books boys will really like list and we are featuring another one here. They are fun, amusing and packed with good info. 50 Model Rocket Projects for the Evil Genius starts out with the history of rockets and moves into making black powder, building rockets and launching them. There are plenty of projects to choose from. In fact, I’m sure they will want to do quite of few of these! I hope you and your boys will give a hobby rocket a try. These projects are packed with learning and so much fun. Let me know which of these rocket books for teens is your favorite.